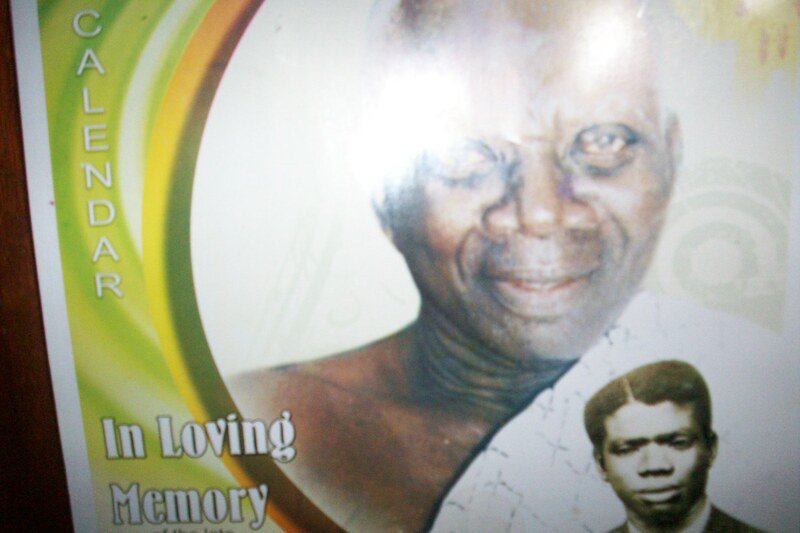 Funerals in Ghana are intricately woven into the fabric of the culture and society. Family celebrations mark the occasion of a “passing” one week after the death, forty days after the death and one year after the death and there is often a separate funeral event when family may have returned from overseas and/or the family has the financial means to do the funeral. Each stage is marked by announcements-in newspapers, on FM stations, and most commonly on posters. Some even rent billboard space!-see post entitled Ashanti: The Importance of Funerals dated 2009-11-07. The other day, I was following a tro tro (a small 16 seat pulic transport vehicle) and on the back window was a poster announcing the one week celebration of the death of I…..O….. aged 29! Now often there will be a large picture of the deceased as the venerable old man/ lady along with an insert of a picture of the deceased as a virile-beautiful young man/woman. Well, I……O……..’s announcement had the big photo of the deceased as a young man and…the identical insert picture of the diseased as a young man.